How to choose one pair of false eyelash extensions? The expression of the eyes much depends on the eyelashes. Eyes are definitely the most important part of your personality. Obviously, you should take enough care to improve your appearance when you face the world. Only a few individuals possess the natural beautiful long eyelashes. But there is no need to worry. If you do not have the long eyelashes and feels depressed you can solve this problem with the artificial long eyelashes. You would feel relief to note that almost all top stars of movie and theatre world uses this way to solve the issue. Particularly the dancers and some stage performers are extensively using the long eyelashes to look more attractive. No one would deny that bigger and brighter eyes are the most important feature of your beautiful face. People long remember such faces and you also want to leave such lasting effect in peoples mind. 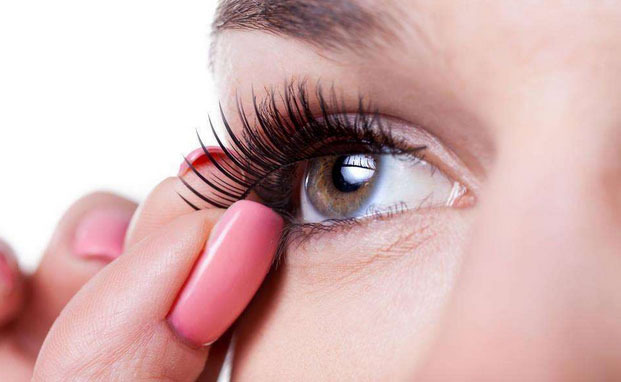 You can instantly improve your appearance by fixing a pair of false long eyelashes. In the market a wide range of different eyelashes with various shapes and sizes are available. You must only take care of selecting the most appropriate false long eyelashes which matches with you and adds brightness to your appearance. Eyelashes are available in strips and in pieces. Obviously, the inexperienced hands which have just begun to take makeup should start with the strips. The strips would be easier for the novice user of artificial long eyelashes. Gradually with the experience, the experts would only accept the individual application. This is simply because strips do not provide the natural look which the experts want. Only the experts can put the individual lashes of different lengths with the natural lashes. Whatsoever, the most important part of selecting the individual or strips, you should always try to look as much natural as possible. One more important thing is that your eyebrows should be matching with your false long eyelashes in shades of colors. After the treatment is over never ever splash water or expose them in humid weather at least within twelve hours of the eyelash treatment. On using mascara, it’s better not to use water-based formula. It’s better to avoid oily products that can serve as easy make-up removal solution. You must be careful while removing the makeup particularly in the area around the eye. It’s better to wash your extension eyelashes with eyelash shampoo that are widely available in the market. 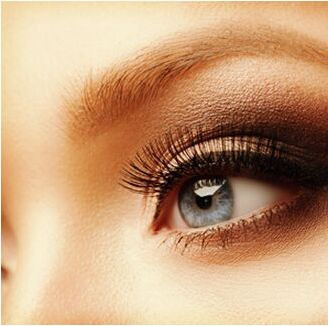 There is the availability of different types of lashes that suits each type of eyes. Like the individual lashes look more natural and covers more area. The half lashes give an effect of eye lifting and they are quite easy to be applied without any confusion. Strip lashes are much natural and dramatic and come with the best result when the person applying is having long and thick lashes. Dramatic lashes are like by user who is having an iconic and smoky eye. It recreates the dark enigma that helps to make the lashes look much longer. Many people go for Cat eye effect and some go for Round eye effect. Both the types are beautifully designed but need to get matched with some particular type of face. Ladies who are having light eyelash can go for silk lashes as they are much lighter than an original eyelash and can be easily adjusted according to your required size. Last but not the least the, you must know to maintain the lashes and it must be known that maintaining extension lashes is quite difficult if the techniques and rule are not made understood clearly. You must know that the extension eyelash exists only for 2 to 3 weeks. After that period the lashes would fall off if the regular filling is not done.